Getting to know what your website visitors want will play a huge part in making your websites successful (lesson #2), fortunately there are a number of tools out there that help us get feedback. Here are 3 tools to find out what your website users want that I currently use or have used in the past. 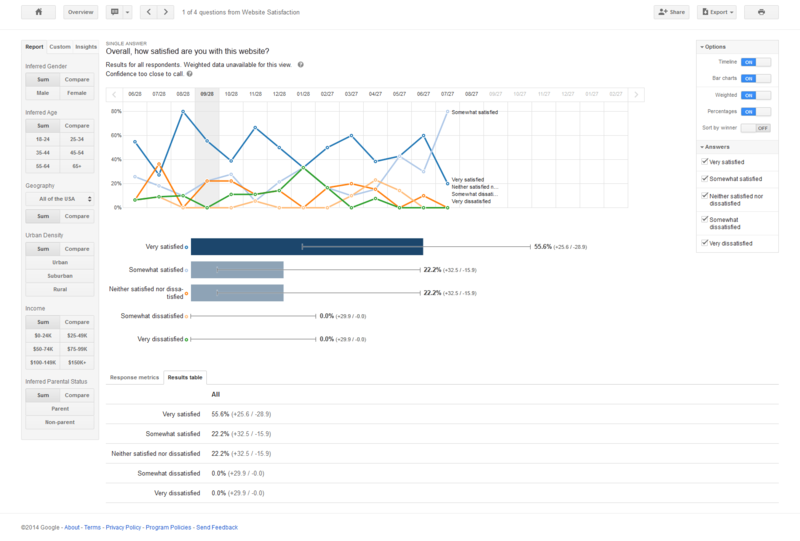 Google Surveys for Website Owners will prompt your website visitors in a non-intrusive way with some basic questions to gather general feedback. You can add custom questions too, which are charged at a very reasonable $0.01 per answer. If you are getting more feedback than you expected you can easily pause the survey from your dashboard. When it comes to analyzing the results you are presented with pleasant charts, which summarize the answers well! You can filter the answers by gender, age, geographical information, income and parental status. It’s similar to using Google Analytics. You can share the survey results privately with other Gmail or Google Account owners or, if you wanted to, publicly by sharing the link and changing the setting to allow it. That’s not all, Google gives you a few options for exporting your survey results too! You can export them to Excel Spreadsheet, CSV Spreadsheet, Chart Image and Chart with Results Table. If you click the Print button you will get a PDF. 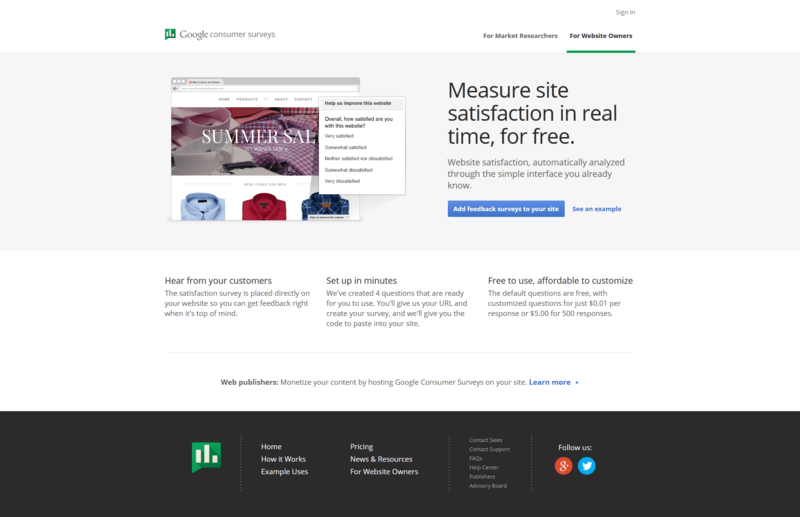 Google Surveys for Website Owners is easy to setup and will have results for you within 24 hours. UserVoice can be used in a number of ways; Feedback Forum, Support Ticket System, and Knowledgebase. To go into detail of all the possibilities of UserVoice is beyond the scope of this article, I will stick to covering the Feedback Forum for now and might pick up on other possibilities in a future article. 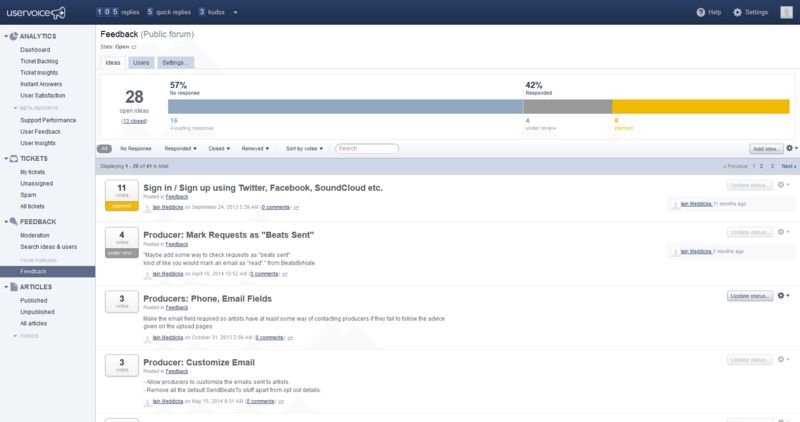 With the UserVoice Feedback Forum you can add your own ideas from the dashboard, your users will then be able to vote and comment on them and as the discussion and voting progresses you can change the status to show what is happening with the idea; Under Review, Planned, Started, Completed or Declined. 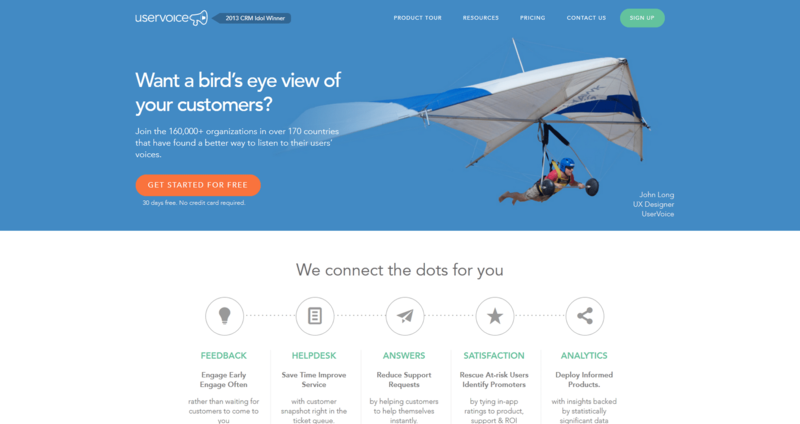 Your website visitors can add their own ideas via an icon on your website pages too! All of this can be done without your users having to create an account on the UserVoice system. Oh and with a paid plan you can export the forum activity to a CSV file. 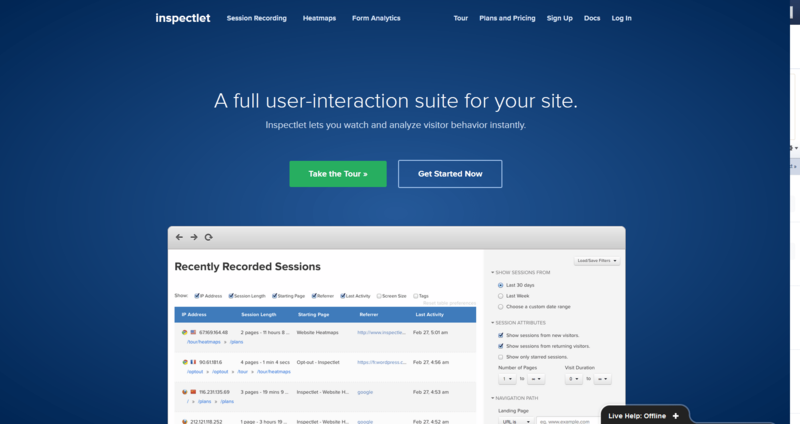 Inspectlet goes much further than the previous two tools in that it actually records how your website visitors interact and use your website, it works for mobile and tablet devices too! Inspectlet will also capture screenshots of pages and show you heat maps of where your users are clicking, looking, and scrolling. Let me be clear, it only records the screens of your website pages; if the visitor switches tabs/windows you won’t see anything. Some may find the idea of recording your visitor’s actions intrusive, I did too to begin with and then I saw the amazing feedback I got. How many users don’t bother contacting you for help if they get stuck? You don’t need to worry about that as you will see when they had a problem and you can fix it for the next user. What tools do you use for gathering feedback from your users? 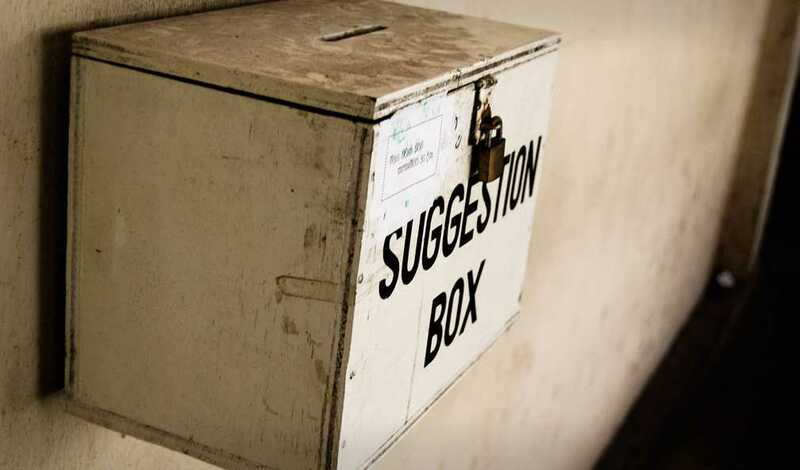 Header image based on “Suggestion Box” by Hash Milhan, CC-BY-2.0.